The Samsung Galaxy S10 series of flagship Android smartphones is set to be announced in February. With it coming out so soon, there is a lot about the lineup that we still don’t know about. It feels like every week there’s information about a new feature in one of the four Galaxy S10 models, changes in what we know about one of these models, new information about the existence of another device, etc. We’ve heard the rumors of carrier-specific 5G devices in the U.S., Time-of-Flight (ToF) sensors being introduced into Samsung phones for the first time, in-display fingerprint sensors, and even display cutouts in the devices. A lot of the information we’ve heard thus far has come from unnamed sources speaking to multiple reputable publications, but we’ve yet to see a device in the wild to confirm any of these reports. While we can’t confirm any of these reports because we don’t have a Galaxy S10 on-hand, we do have another reliable source of information that both corroborates earlier reports and brings new information to light: firmware. After searching in the latest One UI beta firmware on the Samsung Galaxy Note 9, we have found evidence corroborating the existence of 1 specific Galaxy S10 model, the existence of an as yet unknown device model, the possible colors the Samsung Galaxy S10, that Samsung is working on integrating the use of ToF sensors for assistance in biometric authentication, and details of the exact shape and size of the rumored Galaxy S10 Lite, Galaxy S10, and Galaxy S10+’s display cutouts. Before we confuse you any further this new information, here’s a recap of what we know so far about the Galaxy S10 lineup. We would like to thank PNF Software for providing a license to use JEB Decompiler. JEB Decompiler is a professional-grade Android app decompiler designed for reverse engineers. While analyzing the Galaxy Note 9’s One UI firmware, I found a new device code-name that has not yet been publicized. Along with references to the other Galaxy S10 device code-names that have previously been rumored (beyond0, beyond1, beyond2, and beyondx), we also found a new device code-name from a file named “boltq5gvzw,” suggesting that this is a 5G-capable smartphone with a Qualcomm Snapdragon chipset intended for Verizon Wireless in the United States. Multiple U.S. carriers have confirmed that they will carry a 5G-capable Samsung flagship, but so far it has been unclear if this 5G tier smartphone will be otherwise different from the non-5G highest-end Galaxy S10+ (code-named beyond2). The fact that “bolt” is an entirely new code-name suggests that there’ll be some major differentiating factor between it and the Galaxy S10—we just don’t know what. Update 1/4/19: After the publication of this article, we have obtained the firmware for the device code-named “bolt.” We now believe that this is a 5G modem for Verizon powered by the Qualcomm Snapdragon 855 with the Snapdragon X50 5G modem. As I just mentioned, the BeyondX device code-name also appears in the firmware. To my knowledge, this is the first time we’ve seen direct evidence for this device’s existence when its existence has previously been a rumor. We don’t see a “5G” in the name like we do with “bolt,” but this doesn’t necessarily mean it isn’t a 5G-capable device. The Wall Street Journal first reported on the existence of “BeyondX,” citing an unnamed source. The WSJ reports that “BeyondX” will have a 6.7-inch display, 2 front-facing cameras, 4 rear-facing cameras, and will be 5G-capable. In a later section, we will show off the size of the display cutouts for some of the devices. Interestingly, there is no cutout information for the BeyondX device. This is probably because it’s earlier in development than the other models as it’s rumored for a Spring launch rather than February like the non-5G models. 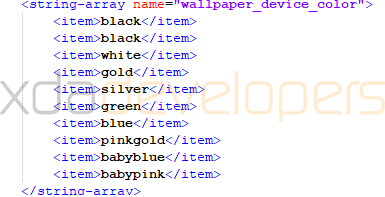 This is most likely a list of all possible One UI system themes that were made to match Samsung device colors. It’s unclear if the Galaxy S10 will be sold with all these colors, but many of these colors have shown up in leaks from case maker MobileFun. Time of Flight sensors are used on smartphones as part of 3D facial recognition technologies. Time of Flight cameras measure depth by resolving the distance between the sensor and the object based on the “time of flight” of the light travel. ToF sensors are used to enable 3D mapping at a distance. You may have heard of this sensor as the iPhone X’s Face ID system uses one. Since Apple, we’ve seen Xiaomi and Huawei add a ToF sensor on the Mi 8 Explorer Edition and Mate 20 Pro respectively. Now, as was previously rumored, there’s evidence that at least one upcoming Samsung Galaxy smartphone will use a ToF sensor. Hidden within the code for Samsung’s system application responsible for handling facial biometric authentication are new fields and methods explicitly mentioning a ToF camera. While analyzing the biometric authentication APKs further, we found references to the newly announced Qualcomm Snapdragon 855 (code-name sm8150) and Samsung Exynos 9820 mobile platforms. Samsung is expected to feature these mobile platforms in the Galaxy S10 lineup. The Qualcomm Snapdragon 855 is expected to be used in the U.S., Canada, Hong Kong, and parts of Latin America, while the Exynos 9820 is expected to be used in other markets like Europe and most of Asia. What these strings tell us is that only devices with the Qualcomm Snapdragon 855 or Exynos 9820 mobile platforms will have the boolean value “FEATURE_HAL_3_SECURE_CAMERA” set to true. This is likely a requirement for Samsung’s version of Face ID to be enabled, though currently, the code does not check for the value of FEATURE_SUPPORT_TOF_CAMERA anywhere else—perhaps because the feature isn’t complete. One of our more interesting findings from the latest firmware dump is the animation used for the standard facial recognition feature which should be camera based. In the same facial biometrics authentication service APK, we found several animation files that were built using Adobe After Effects. With help from XDA Junior Member thesbros, also known as Twitter user @odensc_, we recreated the animations from the JSON files. 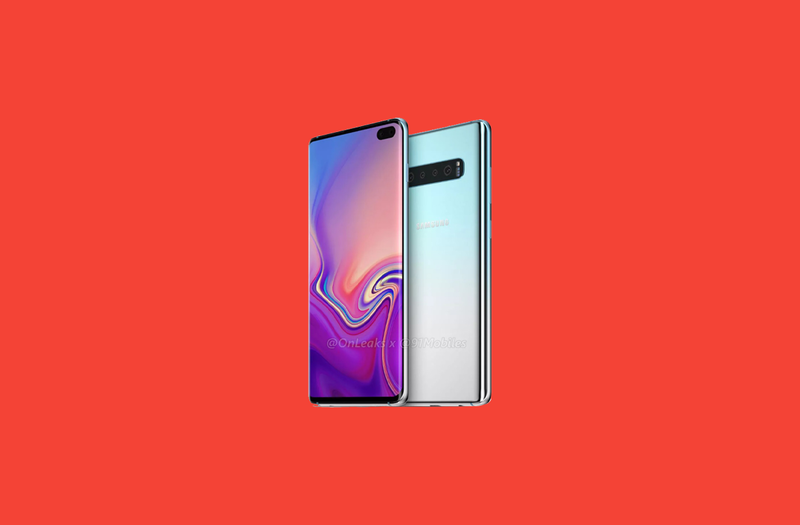 The animations shown above show the size and shape of the Galaxy S10 and Galaxy S10+ display cutouts. The first one shown above is for beyond0 and beyond1 (the rumored Galaxy S10 Lite and Galaxy S10) and the second one is for beyond2 (Galaxy S10+). There are also inverted colors of these same animations for when the One UI system night theme is enabled. XDA Senior Member me2151 found the dimensions of the display cutouts through these files. Beyond0, the Galaxy S10 Lite, has cutout dimensions of 132x132px. Beyond1, the Galaxy S10, has display cutout dimensions of 138x138px. Beyond2, the Galaxy S10+, has cutout dimensions of 132x258px as it will have 2 front-facing cameras. That’s all the new and corroborating information we have so far on the Galaxy S10 lineup. If we learn more about Samsung’s upcoming flagship smartphones, we’ll let you all know.